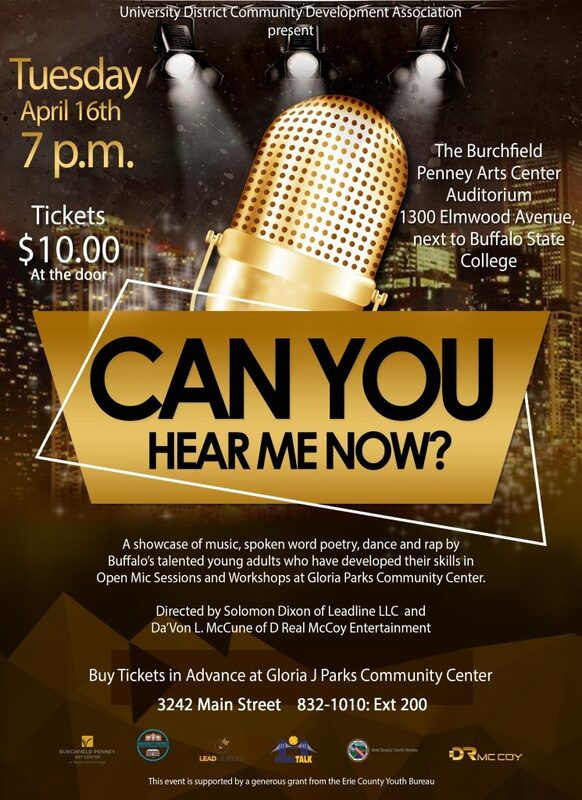 Buffalo, N.Y. – Where do talented teens from the inner city go for their first big break? The answer is Can You Hear Me Now?, a showcase performance on Tuesday, April 16 at 7:00 p.m. at the Burchfield Penney Art Center. This showcase will feature a dozen talented youth performers. 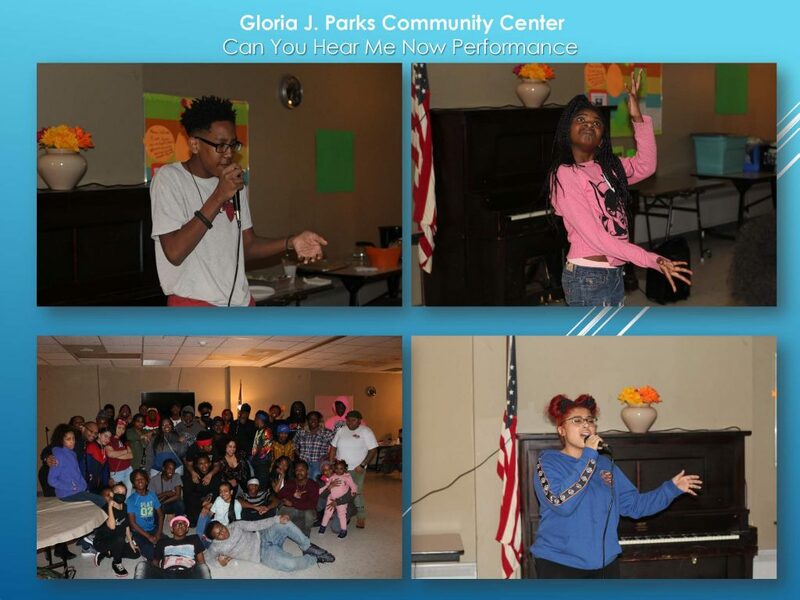 They honed their original poetry, rap, music and dance in Can You Hear Me Now?, the open mic and skills workshop series that met Tuesday evenings and Saturday afternoons from February to mid-April at the Gloria J. Parks Community Center in Buffalo’s University District. This program is in its third year. It was born as a response to a pent up need. Can You Hear Me Now? was conceived and directed by Solomon Dixon, a celebrated local spoken word artist, hip hop dancer, and teacher, and Da’Von McCune, owner of D Real McCoy Entertainment. Together with Michael Tritto, the Associate Director at Gloria J. Parks Community Center, they sought to solve a tangible problem. The team knew there was a burgeoning group of talented teen artists, but there is opportunity to test the new work and develop that talent. Dixon, McCune, and Tritto asked themselves, “How do we use the arts to draw teens together, develop their talent and skills, and create a welcoming space to learn and have fun?” Dixon and McCune assembled a team made up of caring artists, who work with teens in many wonderful programs around the city. Together they use their existing relationships with local teens and Buffalo Public and Charters Schools to promote the program. This showcase performance at the Burchfield Penney Art Center on April 16 represents a proving ground of sorts for these young artists. It will feature the best original material developed by Buffalo teens over 10 weeks of coffeehouse open mic sessions and Saturday workshops. For some it will be the first time performing in public. For others it will be a chance to move their work to the next level. This event is produced by the University District Community Development Association (UDCDA), a non-profit agency offering youth and senior citizen programs at the Gloria J. Parks Community Center, 3242 Main Street and community and housing development services at 995 Kensington Avenue. This program is funded by a generous grant from the Erie County Youth Bureau. For more information on the program, contact Michael Tritto at 716-832-5085 or m.tritto@udcda.org .